A traditional village linked to the La Plagne ski area since the early 1970s and now in a key location with the Vanoise Express double-decker cable car link to Les Arcs. The local tourist office promotes weekly tours of the local church, farm and pedestrian walks. 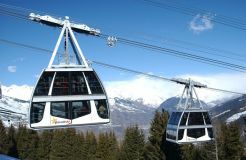 A fast gondola accesses the main La Plagne ski area. When will it snow in Champagny en Vanoise? The next notable snow forecast for Champagny en Vanoise is 1cm-, expected on 23 April, with around 2cm1in forecast over the next 7 days. How High is Champagny en Vanoise? The French Ski Resort of Champagny en Vanoise is part of the La Plagne ski area with access to 225km140 miles of downhill skiing, with 128 marked pistes, served by a total of 109 ski lifts. In addition to the skiing in Champagny en Vanoise itself (212km132 miles of pisted ski runs), the appropriate ski Lift Pass will allow you to ski or snowboard in the other La Plagne ski resorts of Aime La Plagne, Belle Plagne, Montchavin-Les Coches, Plagne 1800, Plagne Bellecôte, Plagne Centre, Plagne Montalbert, Plagne Soleil and Plagne Villages. The longest possible descent in Champagny en Vanoise is 7km4 miles long and the most difficult run is the 'Le Rochu', which is 4km2 miles in length. Champagny en Vanoise is highly rated by Snowboarders and there are a variety of Snow and Terrain Parks in Champagny en Vanoise. When is Champagny en Vanoise open? Opened : December 22, 2018. Closes : April 27, 2019. NOTE:- Lift and Piste openings are always subject to Snow Conditions in Champagny en Vanoise. Champagny en Vanoise is able to make snow, on 33km21 miles of ski runs, with 359 snow cannons. The 125 ski lifts of Champagny en Vanoise are able to uplift 125,000 skiers and snowboarders every hour. Where is Champagny en Vanoise? Champagny en Vanoise is in the French Alps in La Plagne, Paradiski, France. 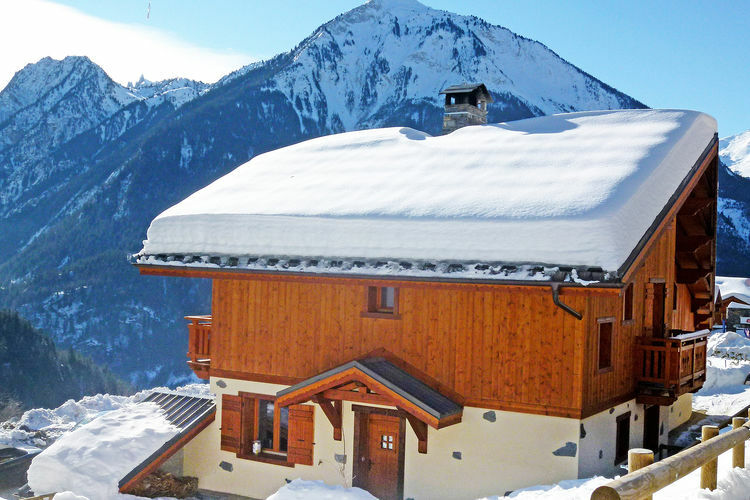 The nearest airports to Champagny en Vanoise are Chambery, Grenoble and Annecy. There are eight airports within three hours drive. The Webcams in Champagny en Vanoise are not always up-to-date. Please check the date on the image to ensure you are seeing current snow conditions. Want to Know when it Snows in Champagny en Vanoise? 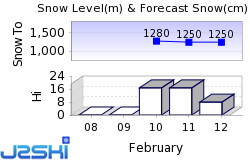 Click above to get Snow Reports by e-Mail for Champagny en Vanoise. By doing so, you agree to Our Rules. Other popular Ski Areas near Champagny en Vanoise. Ski Hire Shops in Champagny en Vanoise. Common questions about Champagny en Vanoise. For current snow conditions, see our Champagny en Vanoise Snow Report. Want to ask about skiing and snowboarding in Champagny en Vanoise? Or contact Champagny en Vanoise Tourist Office. Note :- The information on J2Ski concerning Champagny en Vanoise, where not clearly factual, is opinion only and is neither definitive or exhaustive. Warning :- Snow Sports are Dangerous! Skiing, snowboarding and all winter sports involve risk of serious injury or death. You MUST confirm all information, especially snow and weather conditions, in Champagny en Vanoise before you ski or board. You participate at your own risk.